Schadenfreude is a guilty pleasure of low moral worth. But I can’t help deriving some delight from watching the Tories tear themselves apart over the EU referendum. There are, however, more serious issues at stake: the governance of the country for the next four months. With key players in the Cabinet expending so much energy on criticising each other, the mere matter of actually running the government is bound to suffer. Few people will be able to withstand the barrage of arguments of the next four months without the reputation of politics – and politicians – sinking still further. The very idea of liberal western democracy will take a further bashing. It comes as no surprise to see the likes of Gove, Grayling, Duncan Smith, Whittingdale and Patel enthusiastically campaigning for the EU leavers. This is a distraction from their day jobs, but there is no fundamental conflict of interest. There is one important exception to this. That exception is Theresa Villiers, Northern Ireland Secretary. It beggars belief that she has refused to step down from her post whilst campaigning to leave the EU. Her lack of judgment borders on the criminally reckless, for the reasons below. It took a great deal of very difficult negotiations to achieve the Good Friday Agreement in 1998 to bring peace to the streets of Northern Ireland. The Agreement is in two parts. It’s between the various factions in the province; it’s also an international legal agreement between the British and Irish Governments. The UK Government committed to incorporating the European Convention of Human Rights into Northern Ireland law. Both governments set up Human Rights Commissions to support this. The European Parliament produced a report in 2014 which lists the help, support and funding Northern Ireland has received since 1998. This was in recognition of the extra needs the province had following its troubled history. A total of €450 million is being given by the EU under the PEACE III and PEACE IV programmes (2007-2020). There have been many crises and threats to the stability of the power-sharing agreement in Northern Ireland since 1998. 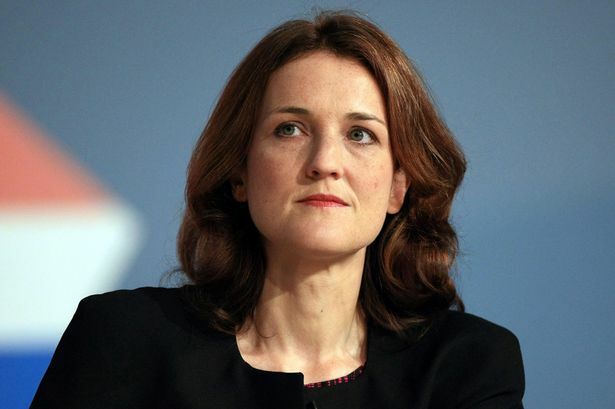 Villiers would be the Minister responsible for dealing with any such crisis and for keeping the peace. How can she possibly stay in post and campaign to leave the EU? It was David Cameron’s weakness and inability to manage his own backbenchers that led him to promise an in-out referendum by an arbitrary deadline. He has a responsibility to see that Britain maintains an effective government during the campaign period. This means imposing an appropriate level of discipline on his Ministers. A good start, and a minimum requirement at this stage, would be to sack Villiers from her Ministerial post.